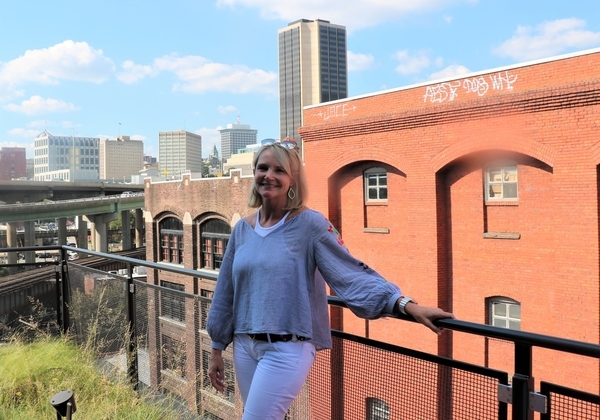 Naborforce launched last month in Shockoe Bottom to connect aging Richmonders to its network of helpers, or “nabors,” who provide on-demand assistance with non-medical tasks such as errands, transportation, help around the home and social engagement. The web-based venture was born from an idea founder Paige Wilson had while caring for her ailing mother. Wilson, who had been managing director with investment banking firm SunTrust Robinson Humphrey, was trying to balance her full-time job and her mother’s needs, while being recently widowed and raising her daughter. She noticed her mother also needed help with daily activities beyond what her home health aides didn’t assist with, things for which her mother didn’t necessarily want to ask for help. After her mother’s passing, Wilson thought about ways to help elderly people and enable them to stay in their own homes longer rather than move into nursing homes. 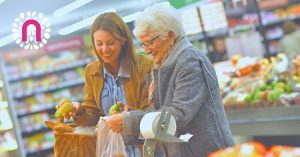 She thought about the elderly who may not want to ask, or do not have friends and family around to help with running errands to doctor’s appointments and grocery stores, cooking or sharing a meal, or to take out the trash and unload the dishwasher. The company had a soft launch last month, offering hourly pricing with a one-hour minimum, which Wilson said sets Naborforce apart from more traditional home health services with higher minimums. Weekday rates are $25 per hour, while evening/weekend rates are $30. Monthly subscriptions and packages of hours can be purchased as well, with the latter ideal for someone recovering from surgery. Wilson would not say what percentage of the fee is paid to the nabors. Wilson served as a nabor during the first couple of weeks. For example, she drove a client’s sister, who was sick, to a doctor’s appointment, then to a grocery store and a McDonald’s drive-thru, as the client missed the experience of simple socialization. Since its launch, Wilson said one client was helped with setting up a Facebook account; a nabor introduced another to podcasts. Wilson has signed up 20 nabors and is vetting another 20 or so. All nabors have undergone background checks, reference checks and in-depth interviews. Naborforce’s freelancers have included people looking to earn extra income with flexible schedules, such as school teachers, a speech therapist, a college professor, an opera singer, and several empty nesters and young retirees. Clients are scattered throughout the Richmond area and Wilson aims to continue expansion throughout the region. She’s also exploring creating a mobile app for Naborforce. The self-funded venture is based in the Startup Virginia building in Shockoe Bottom, where Wilson said she spent the summer handling the branding, legal and technical aspects of starting up. 1 Comment on "Like a good ‘nabor,’ new Richmond startup is there"
this could be a brilliant idea! Uber has become the worlds largest taxi company without purchasing a single vehicle. This service could have a similar growth without actually employing home help professionals. And the potential client base is skyrocketing!